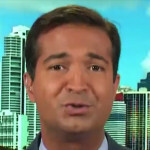 Rejecting the Trump administration’s line, former Rep. Carlos Curbelo (R-FL) said Tuesday that there is no crisis at the U.S. southern border. CNN’s Jim Sciutto then brought up Sen. Elizabeth Warren (D-MA), who kicked off her 2020 campaign in earnest with a swing through Iowa over the weekend. Cornyn: Dems Refusing Deal Because They Just Want To Beat Trump! 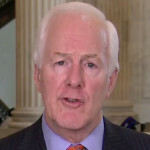 Sen. John Cornyn (R-TX) called the political stalemate over border wall funding a “contrived and phony crisis” and said Democratic lawmakers are just looking for a win against President Trump. President Trump will visit the U.S.-Mexico border on Thursday, White House press secretary Sarah Huckabee Sanders announced Monday. The government shutdown has dragged on over Trump’s insistence on more than $5 billion for a border wall. Trump Wonders: How Do You Impeach A President Who's So Awesome? President Trump had a thought Friday morning: How do you impeach a President with so many accomplishments? He pointed to his electoral victory more than two years ago, among other things. RNC Chair Ronna McDaniel called incoming Sen. Mitt Romney’s (R-UT) op-ed criticizing President Trump “disappointment and unproductive.” McDaniel is also Romney’s niece. President Donald Trump is not one to leave a slight unaddressed. 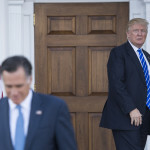 After Sen.-elect Mitt Romney wrote in the Washington Post Tuesday that Trump “has not risen to the mantle of the office,” the President poked back on Twitter. Trump’s tweet referenced outgoing Sen. Jeff Flake (R-AZ), a frequent and vocal critic of the President who nevertheless often voted to advance the Trump agenda. Romney penned the op-ed just days before he is set to be sworn into the Senate. “With the nation so divided, resentful and angry, presidential leadership in qualities of character is indispensable. 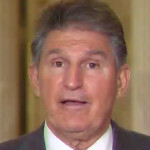 And it is in this province where the incumbent’s shortfall has been most glaring,” Romney wrote.